Speaking at the Values Voter Summit last year, Bishop Harry Jackson pleaded with those in attendance to tone down their anti-Obama rhetoric because it was making them sound like racists, thereby making it harder for him to sell the conservative agenda to other black clergy and win them over to his efforts to oppose marriage equality. Just two weeks ago, Congressman Emanuel Cleaver was harassed by a Tea Party participant at a rally in Washington, DC. There is also video footage recording the exchange of this unruly, angry rally participant. Conservative analysts have wasted time asking whether the man spit on Rev. Cleaver or whether it was an unintentional spray. Congressman Emanuel Cleaver, II has a long history of public service. First, he has served Kansas City as the pastor of St. James United Methodist Church with a membership of 2800 since 1974. After three terms as city council member he was elected the first African-American mayor of his city. 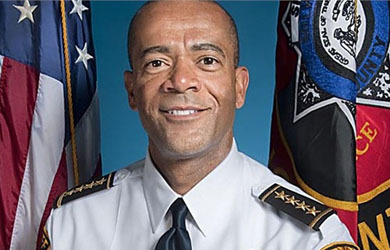 He also served two terms as President of the National Conference of Black Mayors. Finally, he has been in Congress since 2004 and supported Hillary Clinton versus Barack Obama until the end of the presidential primary. In light of his history and credibility, I believe Rev. Clever was actually called the “N” word. Despite the machinations of a handful of fringe participants, I am sure that racism is not the source of the movement’s energy. In response to Tea Party critics, conservative media pundits have spent countless hours defending the movement and its motives. I believe that the Tea Party deserves the benefit of the doubt. Nonetheless, it must dispel the idea that it’s a new manifestation of older racist movements. 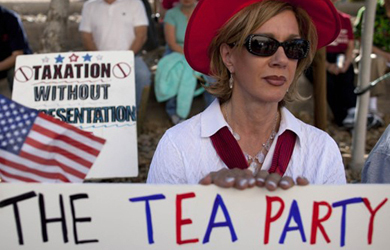 Ironically, the Tea Party movement has become a victim of its own success. Its popularity represents a threat to “business as usual” inside the Beltway. It is time for real, collaborative leadership to emerge and give direction to the Tea Party. As someone who believes that the Tea Party movement is a return to foundational American values, I suggest a PR makeover. The worst thing that could happen to this movement is that its important message gets marginalized because of poor messaging and management. Specifically, I recommend that the movement do three things immediately. First, they should apologize for the disrespect many of its members showed Emmanuel Cleaver and other members of Congress two weeks ago. Second, the movement should have rally leaders go through media training and establish a message for each and every event. Third, as the movement grows, it should feature more black and Hispanic speakers. This is not window dressing because millions of minorities share Tea Party concerns but are put off by the movement’s disparaging mainstream media image.